Find out how to bring multiple sources of data together to give you oversight and control across your Trust. Questa is a data aggregation tool which allows you to easily see, compare and analyse data across all your schools, and for each school to analyse deeper and further. 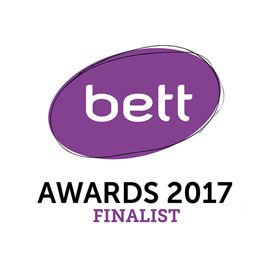 enable your schools to dig deeper and easily access data which helps them understand how they are performing. Questa makes complex data analysis look and feel simple. Data in UK Education - the problems and solutions: read our helpful knowledge sheet, detailing some of the common data issues school leaders encounter and how to overcome them. Questa brings together key data about your schools in a visual format, allowing you to quickly see what is happening, and analyse it further. With a few clicks you can dig deeper, focusing your analysis on relevant areas. 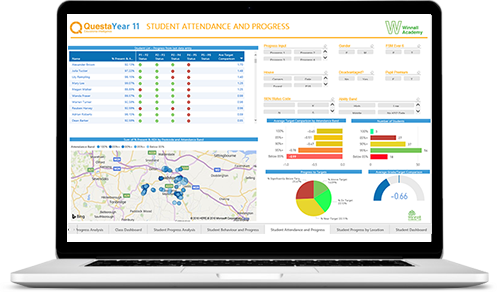 With different user levels and dashboards, Data Managers in each school can dig deeper to get a detailed understanding behind the data. 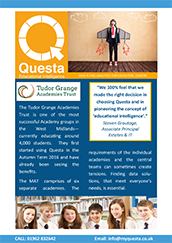 To find out how Questa can work in your Trust and Schools, book your free demo. 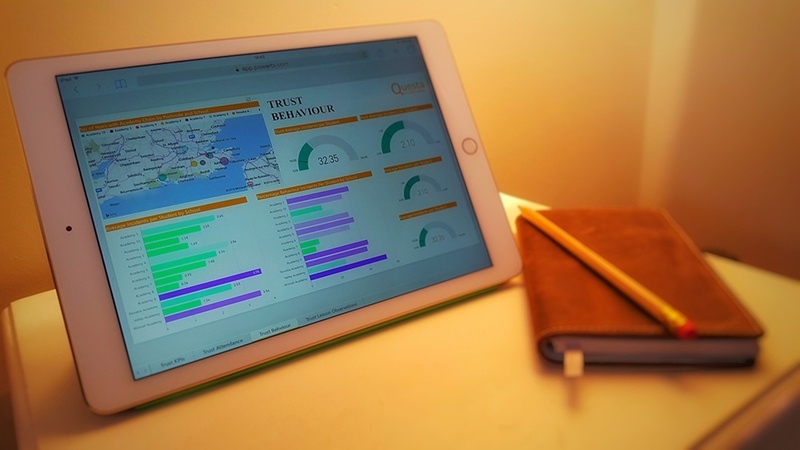 "Using Questa has provided us with the ability to create one-page dashboards for our Trustees, Executive Team, and each school in our Trust. These show us how our schools are performing at key data points throughout the year." "Questa has helped make my life so much easier. I don't have to sit for hours churning all the data out myself from Excel spreadsheets. I now have more time to look at the data in greater detail." Questa: inspired, designed, built and managed in the UK. Managed: by our expert data team ready to help you get the most from it.